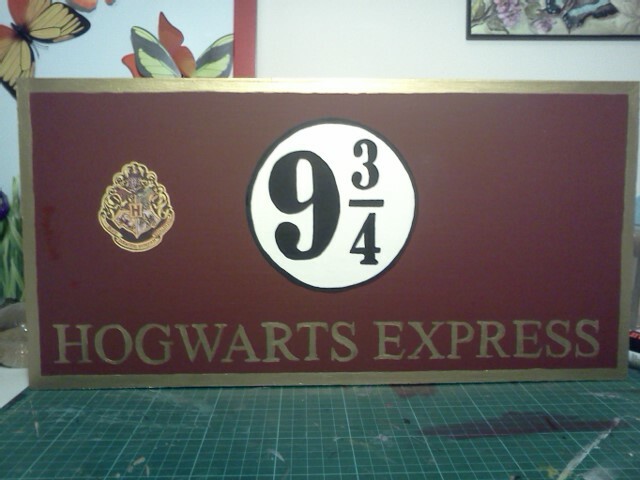 Next I decided to paint up the 9 3/4 sign. 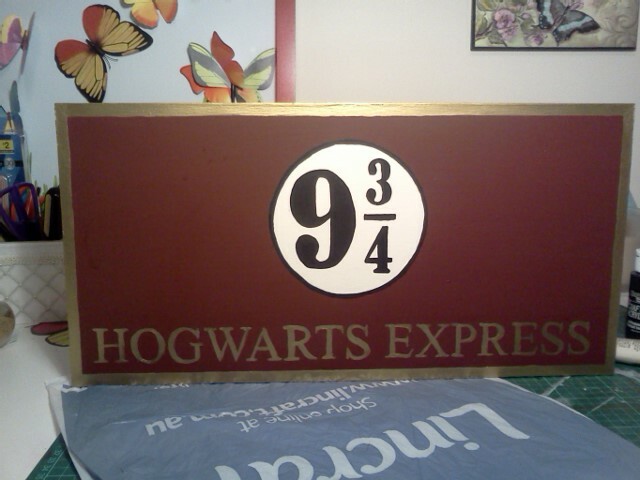 I decided to make it out of MDF,I painted it with Jo Sonja Burgundy paint for the base, gold around the edge and the Hogwarts Express lettering, the 9 3/4 numbers were just black acrylic paint, the Hogwarts emblem was just a print out that was glued on. You can just see the faint outline of the 9 3/4 in the circle, I used carbon paper to trace the letters. 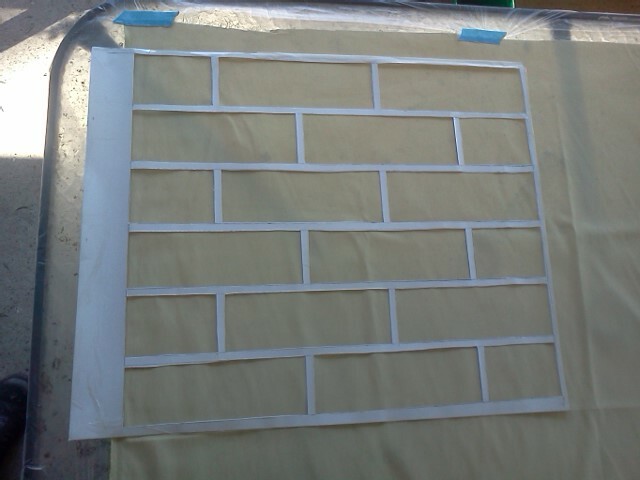 Finished product ready to hang up. Hanging in the doorway at the party. 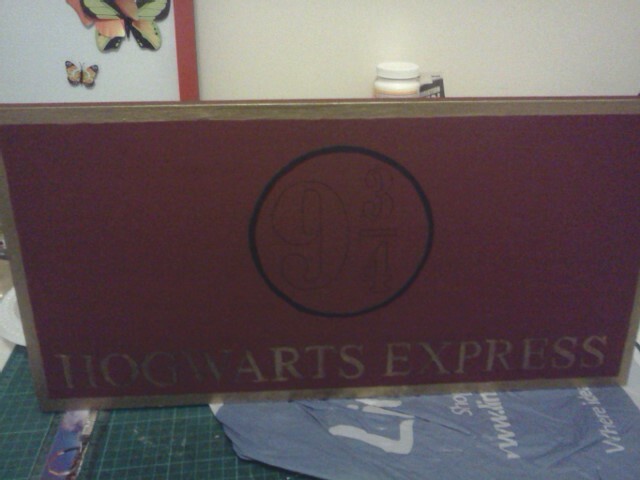 Awesome painted train painted by Vicki. We used 20 wood chopsticks bought from Dollar King for $4, we used beads, hot glue, beads and scoobie strings. We had lots of fun making them and they looked great.